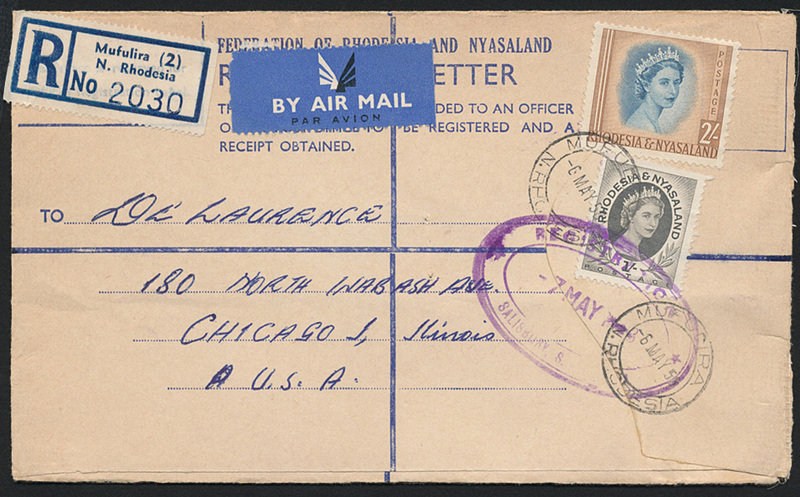 1958 (6th May), registered envelope, without QEII imprint, flap with plain edge. Bearing QEII 1s grey-black and 2s deep blue and yellow-brown (SG 9, 11) cancelled ‘MUFULIRA / N. RHODESIA’. Sent registered airmail to USA, oval Salisbury cachet and arrival backstamps. Attractive.